Fluid XP+ Extreme is an innovative new coolant for liquid-cooled PCs. The new fluid provides better thermal transfer, and it can be used in any liquid cooled system, no matter how small the tubing or how powerful the pump is. This is a universal product; it doesn’t matter what type of system you are running. Better corrosion and algae protection have also been added. 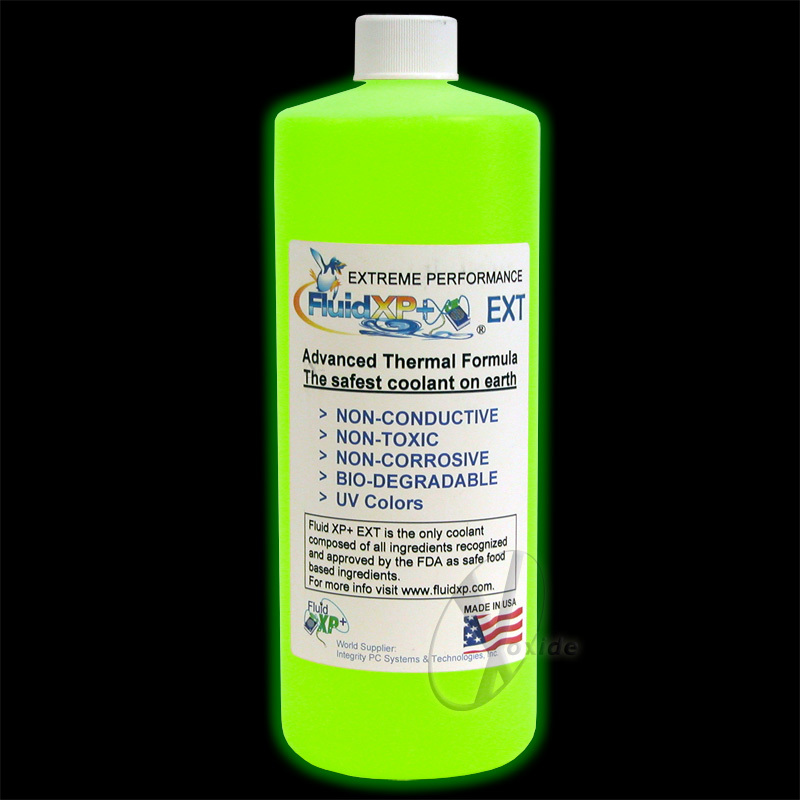 Fluid XP+ Extreme is safe, non-toxic, non-conductive, non-corrosive and bio-degradable. The ingredients are recognized by the FDA as food safe. Fluid XP+ product line of coolants have been through the ASTM testing procedure to test conductivity. The rate of the product is around 12 micro siemens, which is considered zero conductivity for a liquid. Fluid XP+ Extreme is the best coolant for your system, period. If you don't want to have to worry about spillage, short circuits, or toxicity, then Fluid XP+ Extreme is the coolant for you.